Mitsubishi is all set to launch the new generation Outlander in India. There is no official word regarding its launch date in the country. However, the company dealerships have already started accepting bookings for the new Outlander. It is being speculated that the launch price of the 2018 Mitsubishi Outlander will be Rs 32 lakhs, ex-showroom and will be available only in a single top-spec petrol variant. The 2018 Mitsubishi Outlander does look radically different from its previous form. This third generation version of the SUV had received a facelift in 2012. 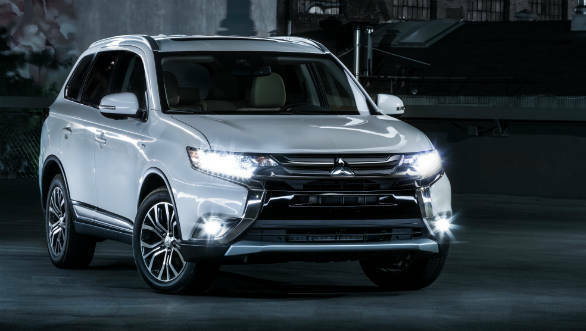 Mitsubishi states that that there over 100 engineering and design improvements that can be seen on the 2018 Outlander. In its new form, the Outlander sports sleeker headlights and a prominent twin-slat chrome grille. And just below that is the completely redesigned bumper with piano-finished inserts. The new Outlander is longer than the Honda CR-V and has a wheelbase of 2,670mm along with a ground clearance of 190mm. The side profile does look distinct when compared to the previous but the 16-inch wheels do look a tad small. The rear design is new too and comes with LED lights and a reworked rear bumper. The cabin of the 2018 Mitsubishi Outlander features a more conventional design. 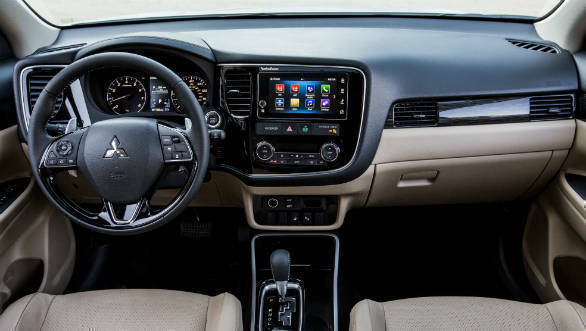 It comes equipped with a 6.1-inch touchscreen system without the modern connectivity options like Car Play and Android Auto. The cabin features an all-black treatment and does look spacious from images. The features list includes anti-tapping sunroof, rain-sensing wipers, automatic climate control and heated front seats. Additionally, like the previous model, Mitsubishi offers a 6.1-channel Rockford music system. The side profile does look distinct when compared to the previous but the 16-inch wheels do look a tad small. The 2018 Mitsubishi Outlander comes with a monocoque body and not a ladder-frame design. Unlike the Pajero Sport, the 2018 Mitsubishi Outlander does not get a dedicated 4WD instead is equipped with an AWD that claims to offer better traction than the last-gen Outlander. 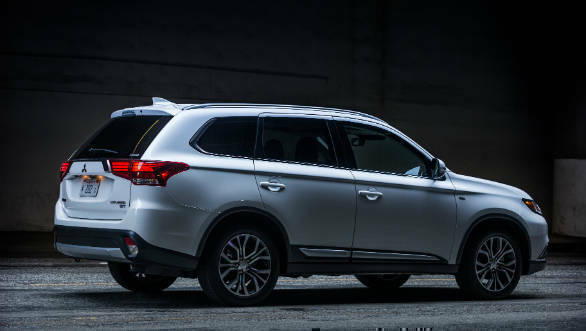 The 2018 Mitsubishi Outlander will be offered with a 2.4-litre petrol motor that makes 167PS of power at 6,000rpm and generates 222Nm of torque at 4,100rpm. Power is sent to all wheels with the help of a CVT unit.